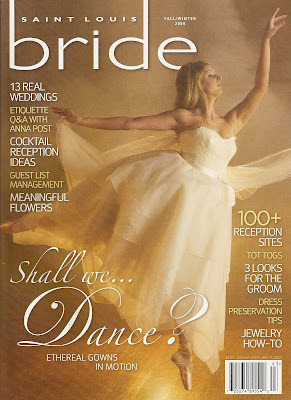 Blog NEW Fall/Winter Issue of St. Louis Bride Magazine! NEW Fall/Winter Issue of St. Louis Bride Magazine! 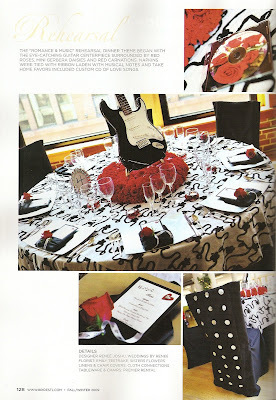 Here is a sneak peek of the newest issue of our favorite bridal magazine! You can pick up your issue of the new St. Louis Bride Magazine at local bookstores and retailers including Dierbergs, Schnucks, Borders, Barnes and Noble, Walgreens, and Target- just to name a few! 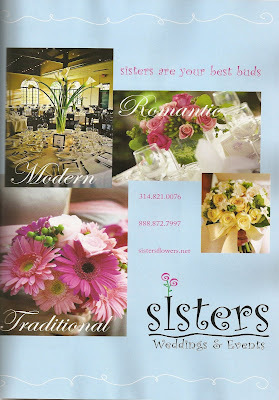 This issue, Sisters is featured in the article “Setting a Perfect Table.” We were asked to help out with an example table setting for a rehearsal dinner. Check it out! Here’s a look at our full page ad in this issue!! Pick up your copy on newsstands July 15th! !